A lot has changed in the two years since Edward Snowden decided to let the world know about the NSA’s illegal activities, ranging from the mass collection of surveillance data, to tapping German Chancellor Angela Merkel’s mobile phones. Despite having his world turned upside down, Snowden says he has no regrets about the life changing decision he made on June 5, 2013. “It was a stressful time being in that hotel room I have to say, but it has been incredibly rewarding and incredibly gratifying. I have lost a lot of things. I can no longer live in my home. 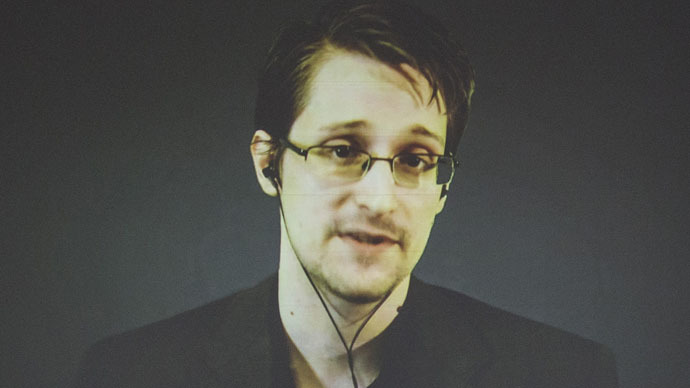 I can no longer go to my work and see my colleagues,” Snowden said in a video link-up with Amnesty International, from Russia, where he has claimed asylum. “On the other hand, the things that I have received personally and that we have all benefitted from publically, make it all worth it,” he added. While governments across the globe have rushed to push through legislation to cap the power of surveillance agencies, whose programs were revealed by the former NSA contactor, Snowden still faces the prospect of 30 years in jail on espionage charges, should he ever set foot on US soil. The practice of harvesting personal data in bulk was declared illegal by US courts in May, and the Senate failed to renew the Patriot Act, which included the infamous Section 215, authorizing bulk collection of Americans’ telephone data. During a White House press briefing on Monday, White House Press Secretary Josh Earnest was asked if it was time for the White House to “reassess the persecution” of Snowden. A Russian lawyer for Snowden said in March that the former NSA employee was in discussions to return to the United States. Snowden has demanded assurances that he would receive a fair trial and be permitted to use a so-called “whistleblower” defense. Meanwhile, Matteo Bergamini, the Founder and Director of an independent news network ShoutoutUK said Snowden’s revelations were completely unexpected. “I think the biggest achievement was that it told us something that we had no idea was happening – the mass collection of our data. It informed the British people about what was going on and it made it clear what our government intentions were,” Bergamini told RT. “It was a massive overreaction. All he did was tell the truth and if that is what the US does to people who tell the truth, I shudder to think what could happen next,” he added. “The government does not want to have a debate about this. We are supposed to live in a democracy, Americans are supposed to live in a democracy, so how can we justify that if we don’t have a proper debate about these sort of things,” he concluded. In April, German media reported that over the past decade, the BND has helped the NSA in spying all over Europe. The US agency sent its German colleagues so-called “selectors”, which included IP addresses, emails, and phone numbers indicating what targets were to be spied on. Snowden’s revelations revealed that the BND had been providing the NSA with data for around a decade, while the German spy chief Gerhard Schindler said, “We are dependent on the NSA, not the other way round,” the spy chief said, as quoted by Der Spiegel, adding that without the NSA’s presence on German soil, the BND would be rendered useless. The scandal led to the BND pulling the plug on cooperation with the NSA.